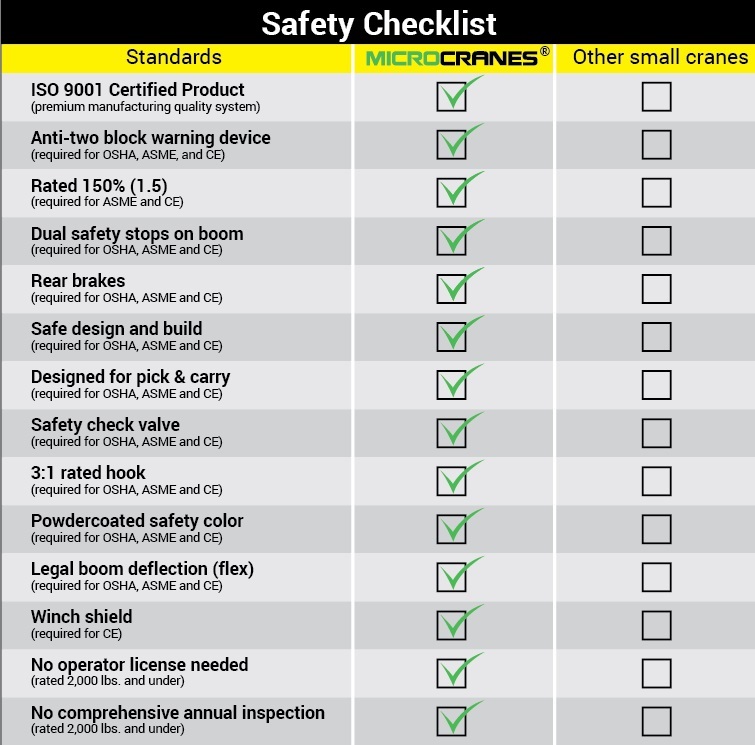 With its compact size the Microcranes® or Smart-Rig Crane portable roof hoist is ideal for HVAC, duct, AC lifting, repairs and installation projects with confined spaces, or for use on floors unable to support a lot of weight, such as the low-density concrete floors of high-rise towers. 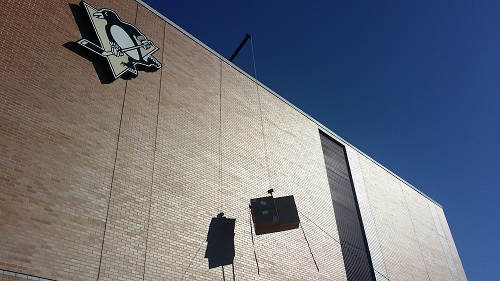 Microcranes® Mini cranes are being used in the HVAC and refridgeration industry to save money and reduce time on commercial and industrial jobsites. 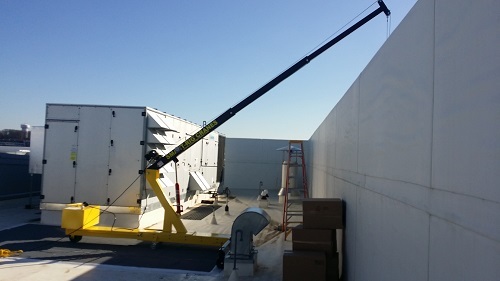 Contractors use rooftop HVAC lifts on building sites over larger cranes which are costly and require fuel, training and time. Use the T1 Global or M1 Global model portable HVAC unit hoist to lift, install, repair ducts, piping, air conditioning units or set steel beams in place on residential or commmercial building sites. Material Lifts are ideal for lifting and placing bulky objects. 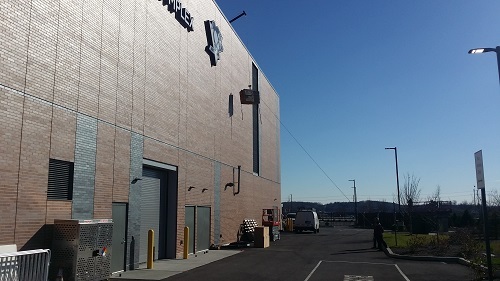 Applications include shipping/receiving, ground to roof hoist, placing HVAC equipment and appliances. HVAC compressor Installation Positioning pipe & ducts.